I really wanted to save this one for closer to summer but I just couldn’t resist! 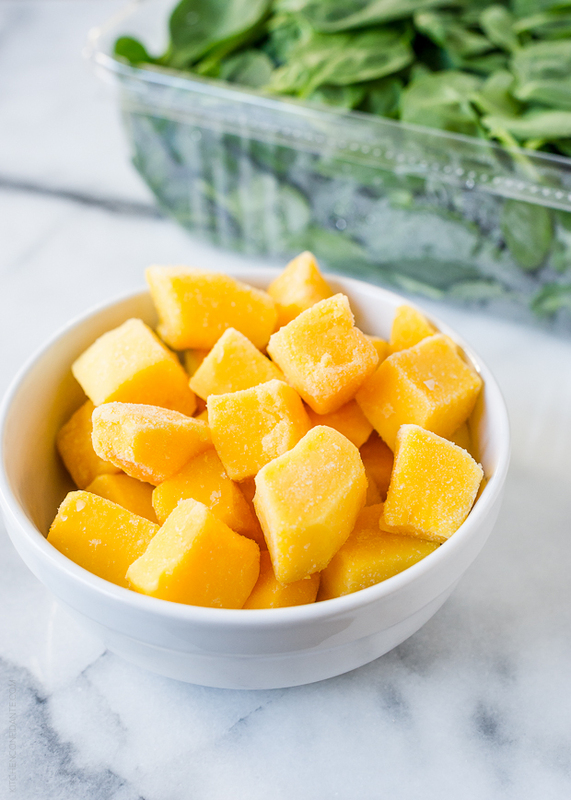 If you’re a fan of mango I promise you that you won’t be let down by this little treat- frozen mango chunks! My new favourite thing to eat. Mangos have a variety of health benefits. They include Vitamin A, which works wonders for your skin and hair, have lots of fibre and potassium- great for your heart- and even help to alkalise your body. They also aid digestion and weight loss and boost your immune system. Not only are these tasty little treats good for you, they’ll help to zap any sugary cravings, making the perfect snack. Frozen mango tastes just like you’re eating an ice lolly, meaning no more trips to the corner shop to stock up on sweets and ice cream (well, perhaps we won’t rule this out entirely…). I buy mine from Sainsbury’s– two big bags for £4 or one for £2.20. Yes, please! But you can pick some up at most supermarkets or even freeze your own.